Unique Landscaping has 20 years experience improving the aesthetics and increasing value using asphalt paving. Unique Landscaping has 20 years experience improving the aesthetics and increasing property value using asphalt paving. Let us create the outdoor oasis of your dreams. Let us create the outdoor oasis of your dreams! If you’re looking to boost the value of your property while also improving its visual appeal then hiring Unique Landscaping to professionally construct an asphalt parking lot, driveway, or street is a needed investment. If you really want to take your business to the next level by giving it a big-business look then we are ready to help. Unique Landscaping brings years of asphalt paving experience and expertise so you can rest assured knowing your project is in qualified hands. We have both the tools and the professionals to construct a parking lot from scratch that lasts for many years to come. At Unique Landscaping, we make customer satisfaction our top priority. By providing high-quality service with affordable pricing we’ve made a reputation for being top-rated contractors. We have served Oklahoma for 20 years and have committed ourselves to provide the best care to Oklahoma City, Norman, Tulsa, Owasso, Jenks, Broken Arrow, Sand Springs, Sapulpa, and all surrounding areas. You can feel safe hiring us as we are bonded and insured and provide 100% customer satisfaction! Call us today at (918) 770-9614 and rest easy knowing that all of your asphalt paving needs are being expertly taken care of! 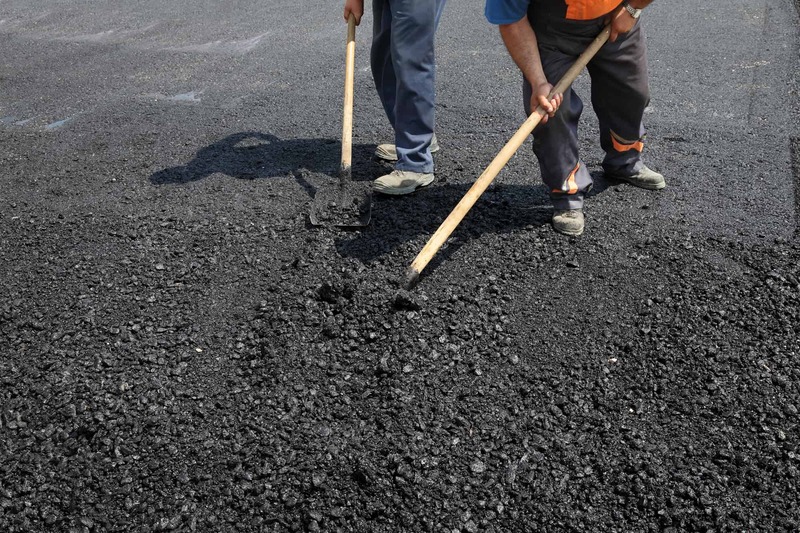 We provide asphalt paving services all throughout Oklahoma, not just in Oklahoma City. So If you’re ready to create that smooth, professional looking asphalt parking lot or driveway that looks like it was made for the next Fortune 500 company then it’s time to give us a call, no matter where you’re located. Our commitment to excellence, timeliness, customer support and affordable prices has made us one of the most trusted asphalt paving companies in Oklahoma. We look forward to working with you! Give us a call today! If you are needing to install a parking lot then you should definitely consider asphalt. As we are a trusted Oklahoma City asphalt paving company it is important that we use only the best products. Companies and individuals rely on us to create asphalt driveways and parking lots that look great and can withstand high traffic volume. That’s why we choose to use asphalt concrete on all our projects. Not only does it look great, but it is also easily repairable and extremely durable. For quality workmanship with the best products rely on Unique Landscaping to get the job done!